Welcome to the Utah YLD Website! YLD hosts several networking events every year, giving members an opportunity to meet other young lawyers, seasoned attorneys, judges, and community leaders. YLD members are involved in programs that provide wills to first responders, estate planning documents to seniors, legal assistance to low-income individuals, and more. With approximately 2,000 members, the Young Lawyers Division prides itself as being one of the most active organizations within the Bar. We encourage you to join one of our committees and participate in the numerous events we sponsor throughout the year. 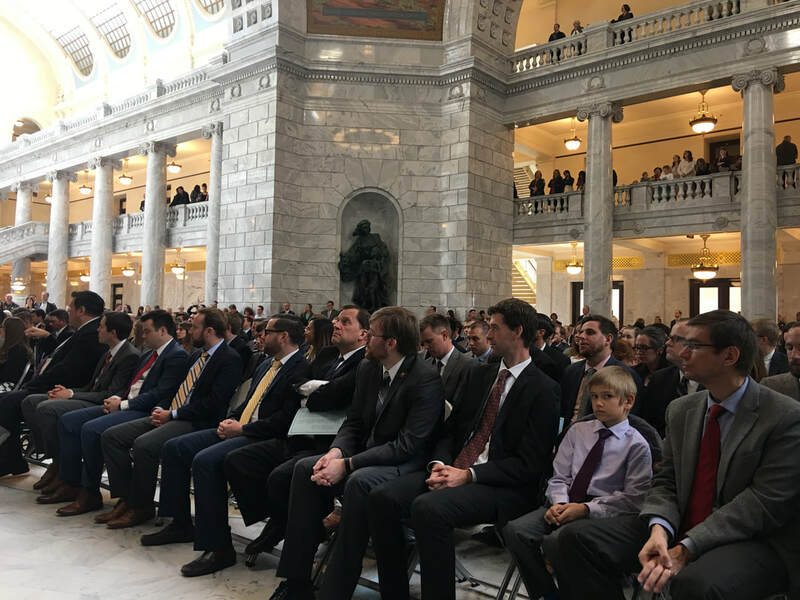 All members of the Utah State Bar in good standing under 36 years of age as well as members who have been admitted to their first state bar for less than five years, regardless of age, are automatically members of the Young Lawyers Division. Membership terminates automatically at the adjournment of the annual convention of the Utah State Bar following a member’s thirty-sixth birthday or the fifth anniversary of a member’s first state bar admission. There is no need to sign-up or pay dues to be a member of the Young Lawyers Division. ​If you have any questions, please feel free to contact any member of the ​Young Lawyers Division leadership.